1. 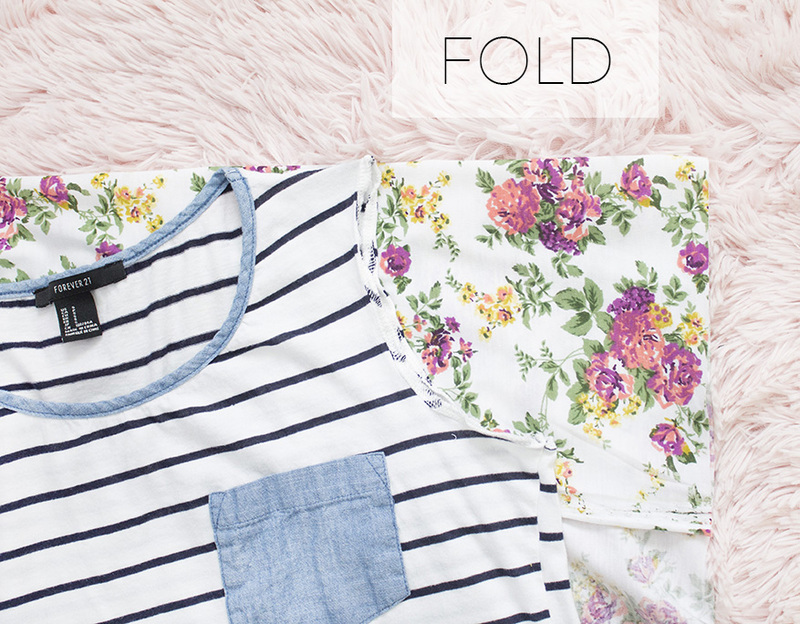 Fold your fabric in half and place your sleeveless shirt on top of the fabric, at a slight angle. 2. 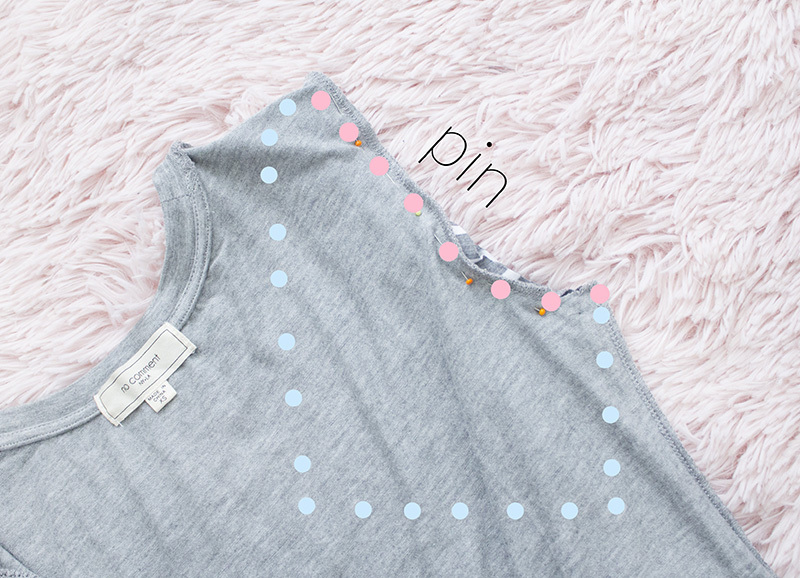 Trace your new sleeve along the armhole (the purple dots). I use pins or tailor's chalk to trace. 3. 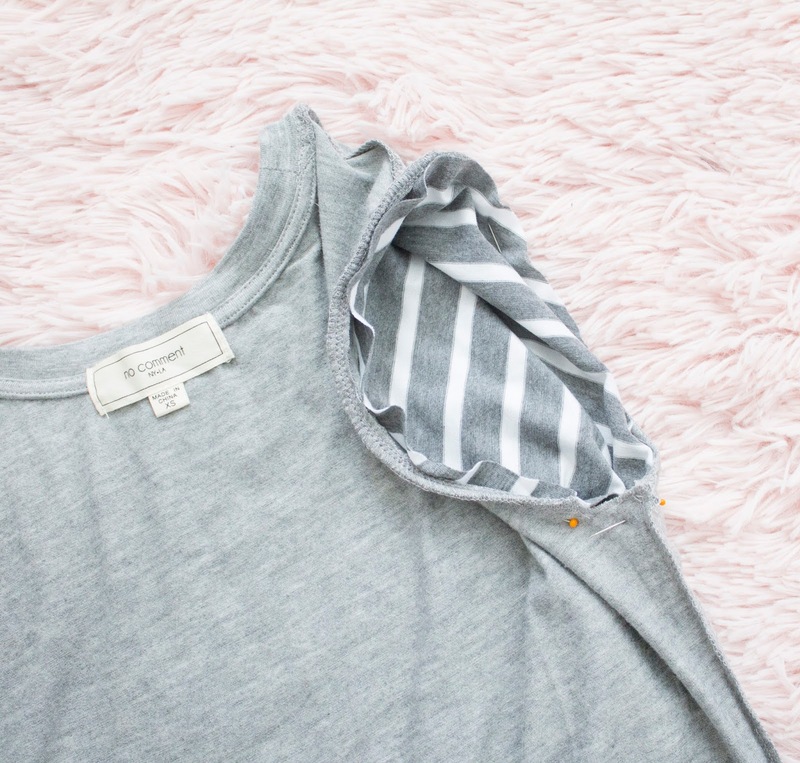 When you're about to reach the end of the armhole, move back the armpit corner a bit and keep tracing. 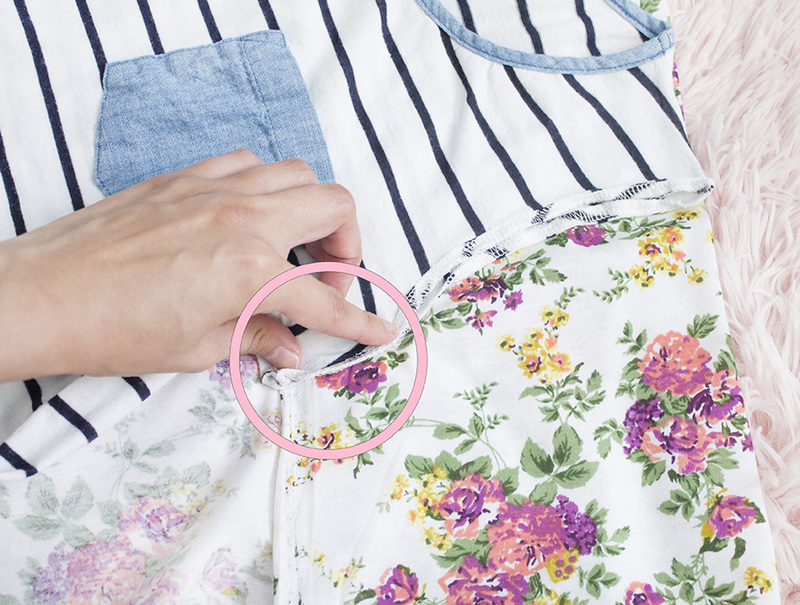 Then, keep tracing down until you have your desired sleeve length. 4. 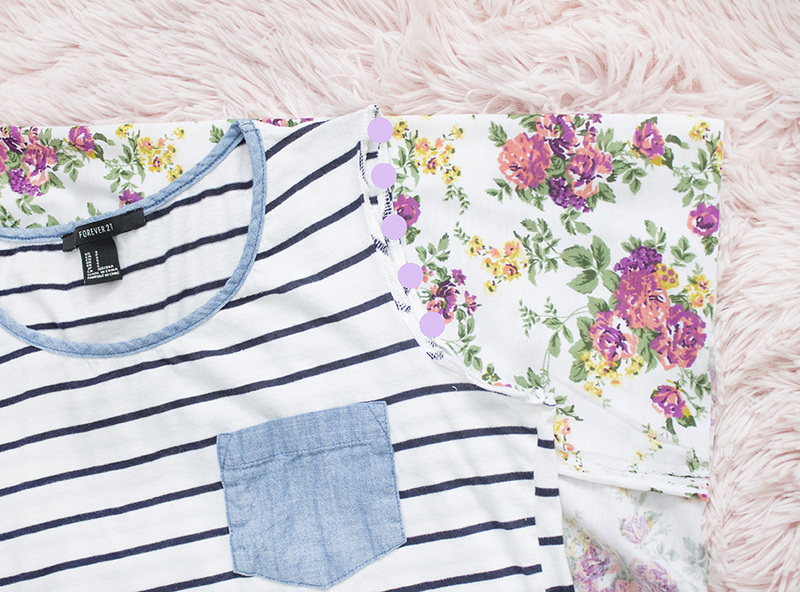 Cut out your sleeves and sew them closed. 5. 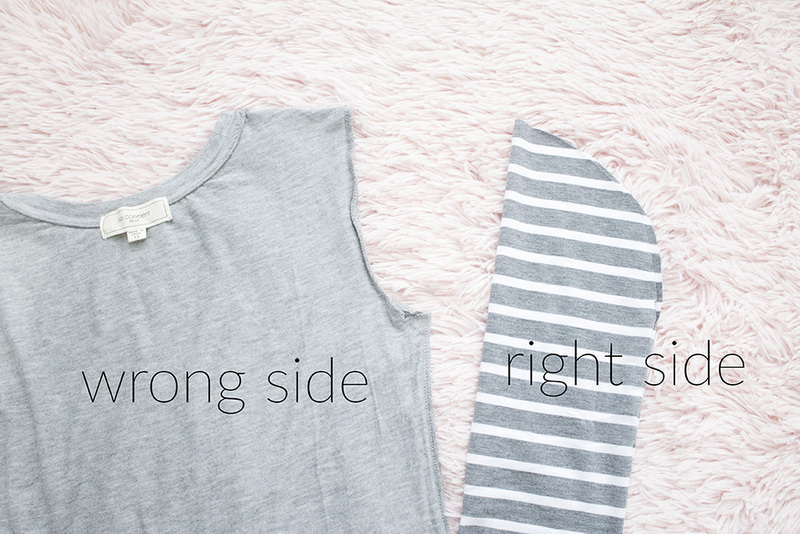 Turn your sleeveless top inside out and turn your sleeve right side out. 6. 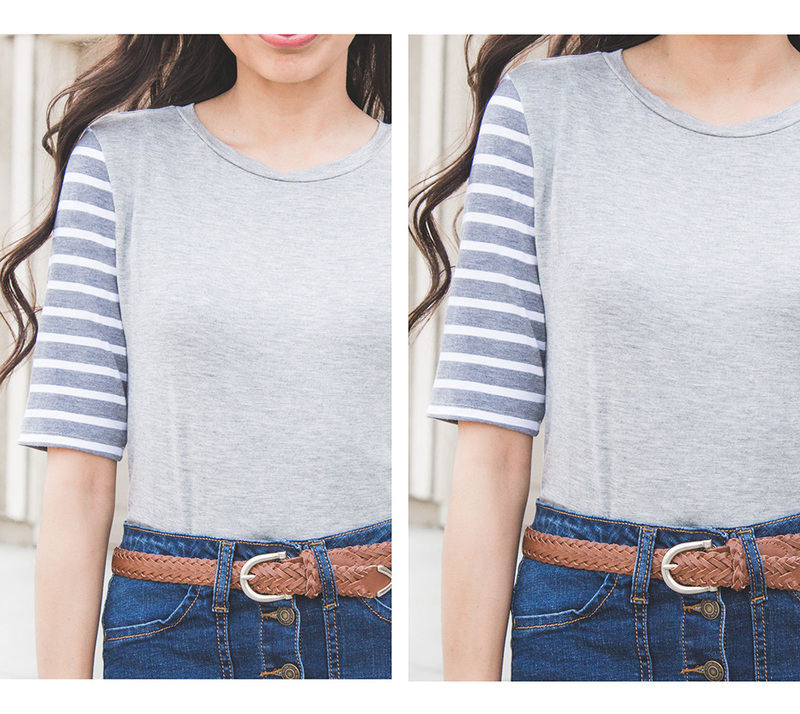 Place your sleeve inside your top, as shown below. The blue dots show the sleeve laying inside the top. 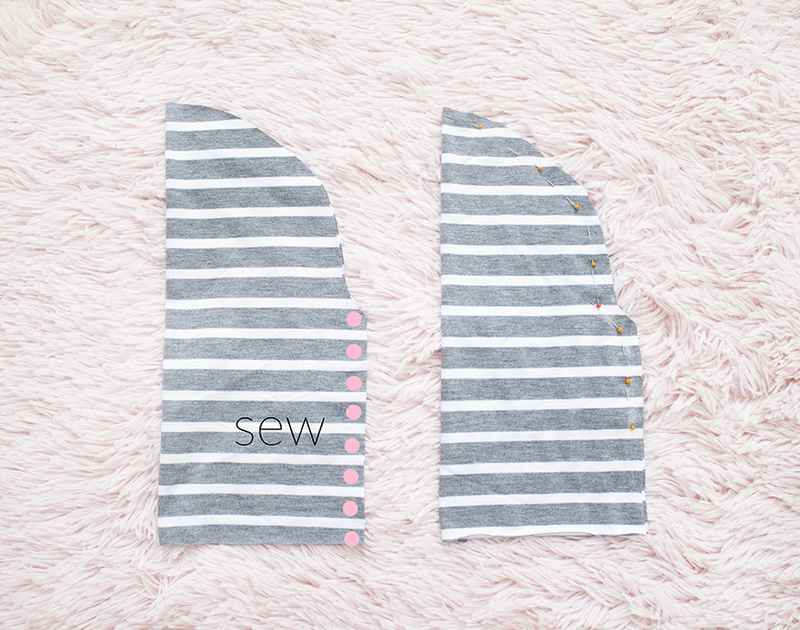 The pink dots show where the sleeve is pinned and sewed to the top. 7. 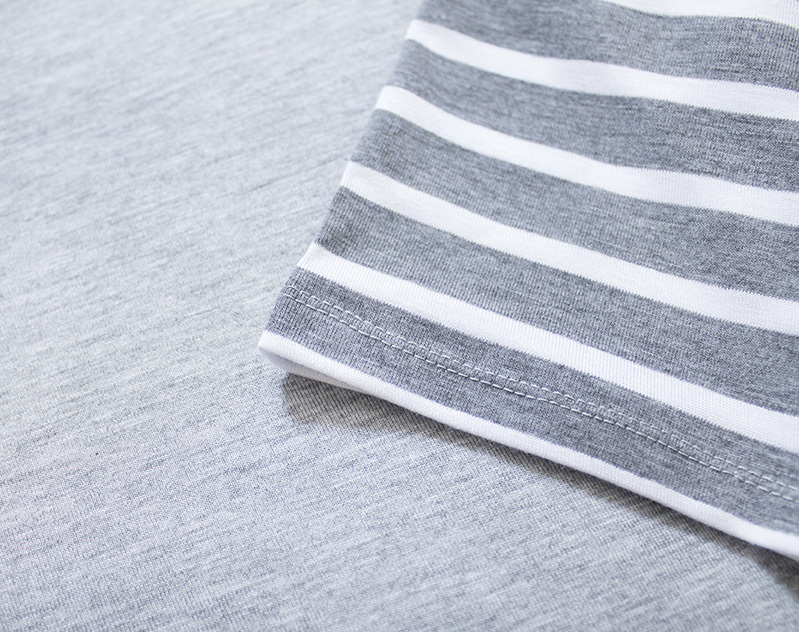 Turn your top right side out and admire those new sleeves. 8. 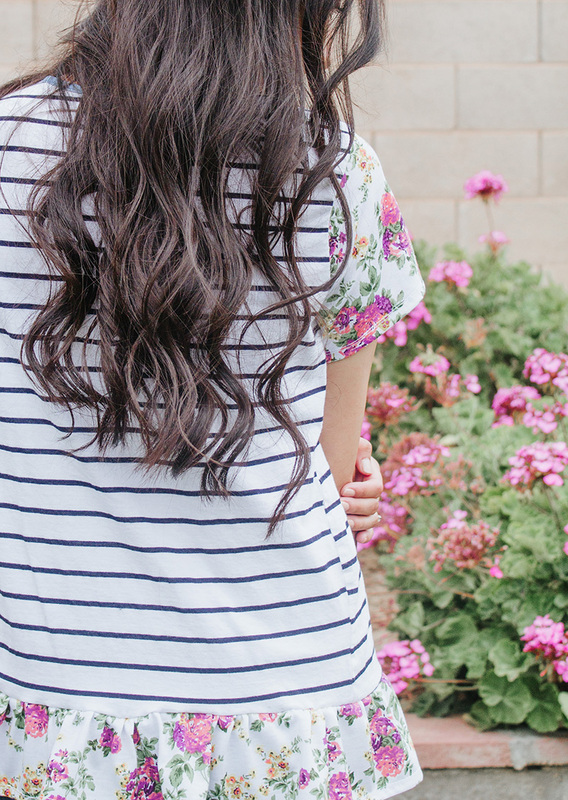 The last step is to hem your sleeves. For hemming, I like to use a double needle. 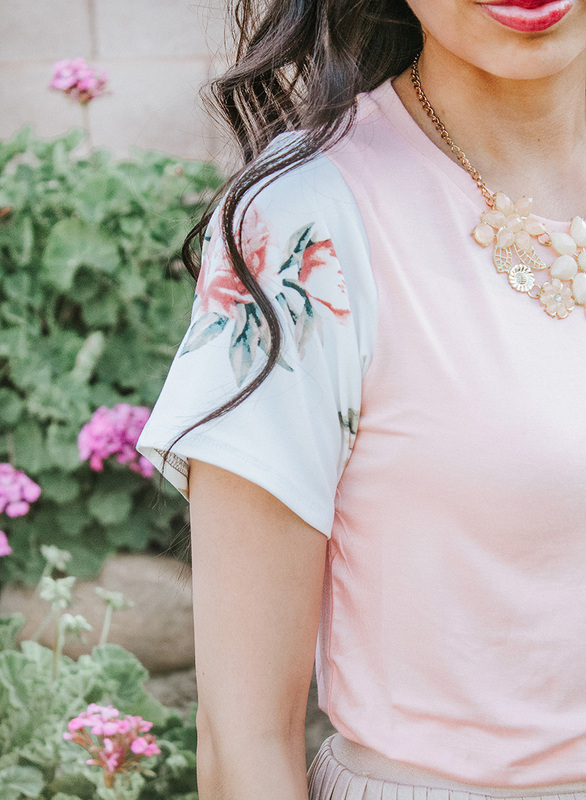 Not only is this an easy way to add sleeves to a sleeveless top, but now you can also switch up sleeves on other tops you may have in your closet. 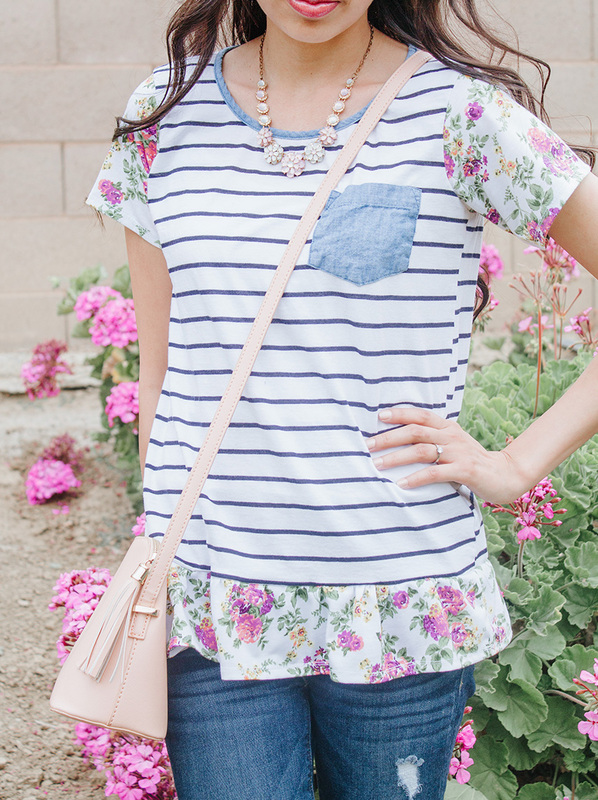 I added floral sleeves to this striped tee and a matching floral ruffle to tie it all together. 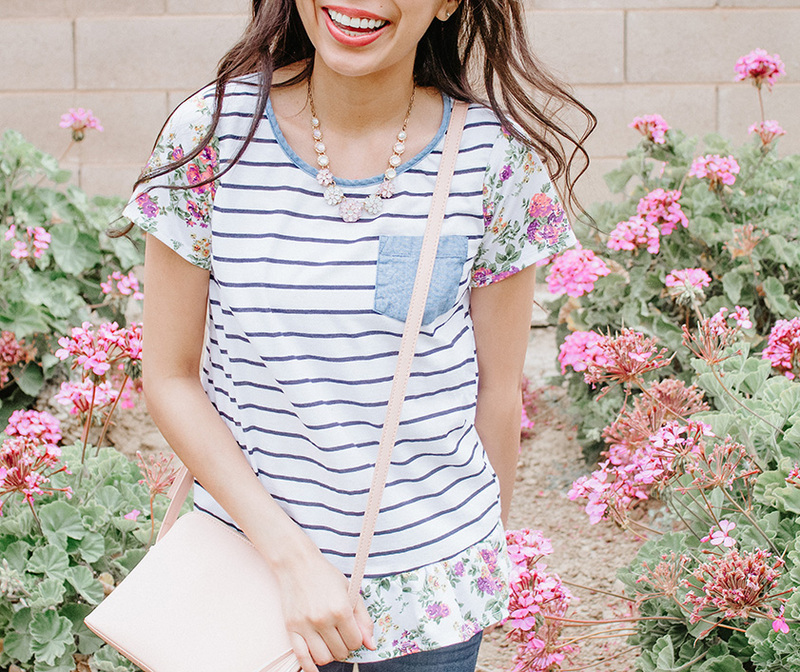 My absolute favorite pattern combo is stripes and florals. 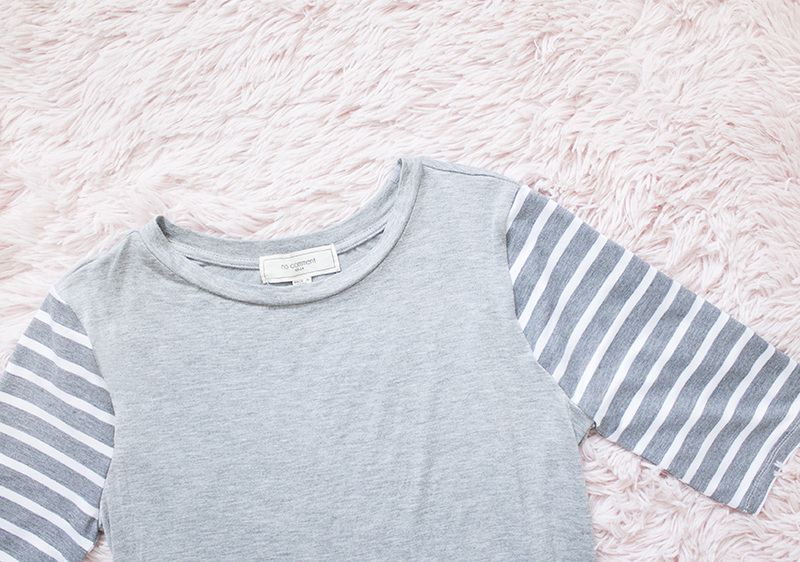 This is another plain tee, that I refashioned using this sleeves to sleeveless tutorial. 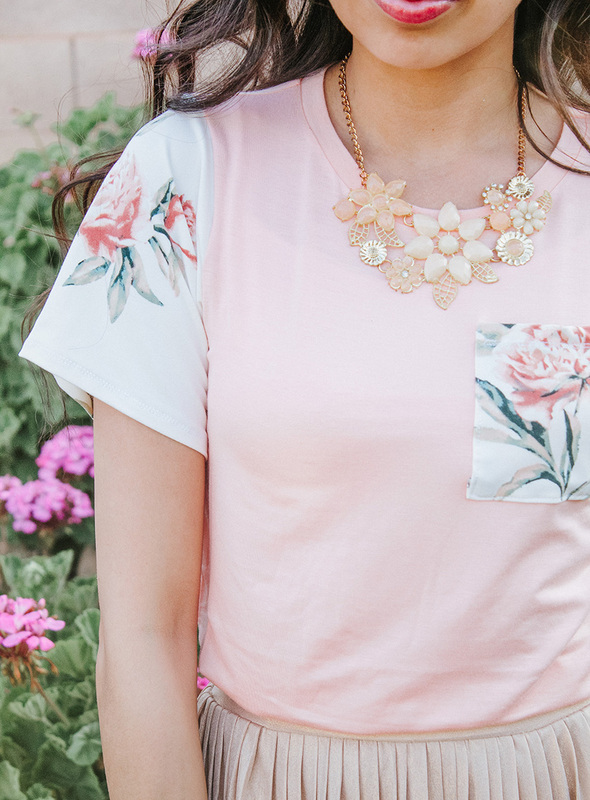 For this design, I added a matching pocket to tie the floral pattern of the sleeves and the coral color of the shirt together. Hi Mary. Thanks for this, I've been looking for a tutorial on sleeves forever. Just wondering how this might change for long sleeves. 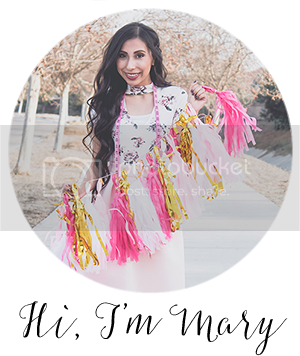 And what fabrics do you suggest for sleeves? Sorry I'm a complete sewing newbie!